I had the absolute pleasure of illustrating the cover of LA LA LAND. This colouring book is a project conceived by Nisha Parmanand and Divia Harilela and produced by Ann Tsang. 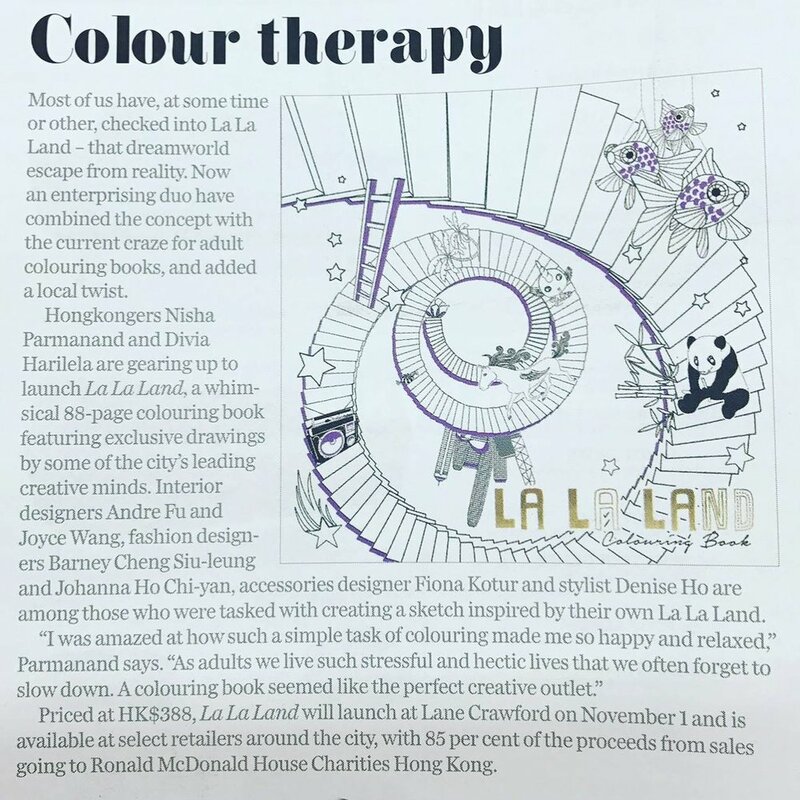 HK's leading creatives and influencers each contributed a page and money raised goes to Ronald Macdonald House Charity. On sale soon at Lane Crawford and G.O.D.